Today would have been Julia Child’s 102nd birthday and with her towering height, booming voice, vivacious personality, and insatiable appetite for food, eating, cooking, and learning new things, we can be sure she would have celebrated in style. As a graduate of the MLA in Gastronomy Program at Boston University—the program co-founded by Julia Child with Jacques Pépin to secure a place in higher education for the serious study of food—I share with my BU colleagues a borderline-cult-like love for all things Julia. I celebrated this week by finally reading Laura Shapiro’s biography of Julia Child, which is a petite book that perfectly captures the stages of Julia Child’s life, love, and career. I also spent some time writing an article for Zester Daily, comparing Julia’s advice on wine to that offered by other cookbooks published around the same time. One of the things I most love about Julia is how she expects, encourages, and supports readers to rise to the challenge, whether it be mastering French cuisine or perfectly pairing wines. Like any good teacher, her own love for learning gushes out, as she provides the environment and tools that her students will need to succeed. Then she gives them a little push to get started, to jump in, to really and truly discover it for themselves. 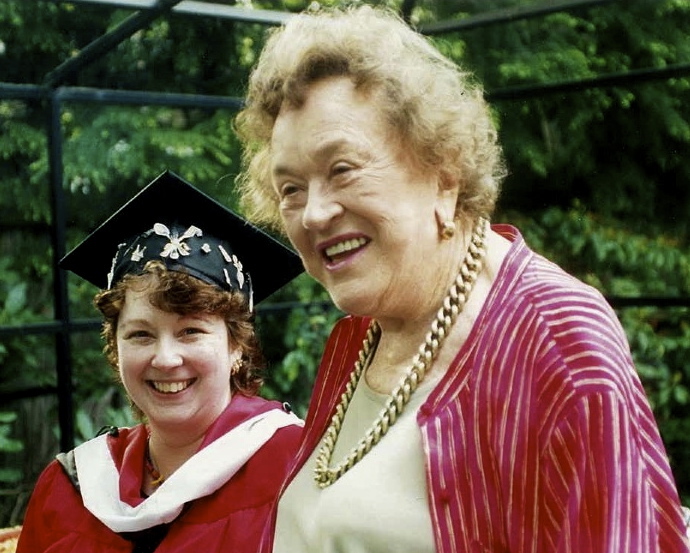 Written as part of Gastronomy at BU’s celebration of what would have been Julia Child’s 100th birthday in 2012, this piece is an interview with Julia’s full-time assistant of nearly 16 years—and the Gastronomy program’s first graduate—Stephanie Hersh. 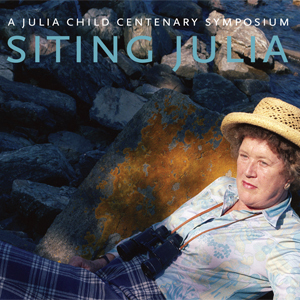 This post is a round up of the many multi-media pieces that were produced to celebrate Julia, her work, and her life on her centenary. This compilation of 15 articles to read, videos to watch, segments to listen to, and ways to cook, eat, and enjoy her food can also be the perfect way to celebrate her at 102.